Special editions were nothing new to automakers, particularly those often introduced towards then end of a vehicle’s product cycle aimed at generating a bit of buzz and excitment. 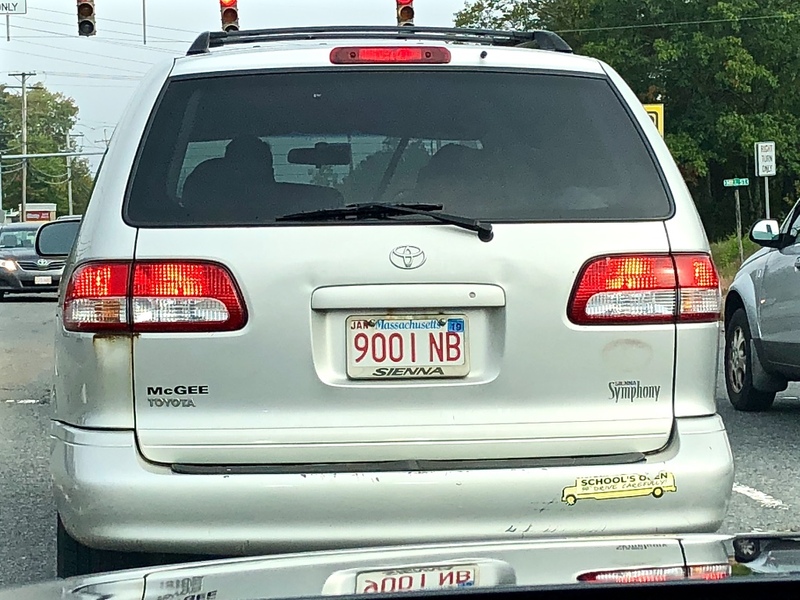 When it came to minivans, this was common practice among the Big Three, but for Toyota, its first special edition Sienna was the oddy-named Symphony that was available for 2002-2003 on mid-level LE models. As the name might hint, Symphony editions added the top-line XLE’s JBL 8-speaker sound system, along with other standards XLE items including remote keyless entry, roof rails, 6-way power driver’s seat, second row captains chairs, upgraded unique cloth upholstery, leather-wrapped steering wheel, “Symphony” embroidered floor mats, HomeLink universal transceiver, power passenger’s side rear sliding door, 15-inch alloy wheels, color-keyed painted mirrors, bumpers, and bodyside cladding, and special badging. Available only Lunar Mist Metallic (Silver) with Gray interior or Desert Sand Mica (Gold) with Oak interior, crescendoing up to the Symphony was Sempre Piu — some $1,000 plus over than a standard LE. Effectively bridging the gap between the Sienna LE and the XLE, the latter of which added roughly a $3,000 price premium for the sake of Symphony features plus automatic climate control, fog lights, and antitheft system, the Symphony represented a considerable value for those seeking a well-equipped Toyota minivan — in a rather unusually names package. 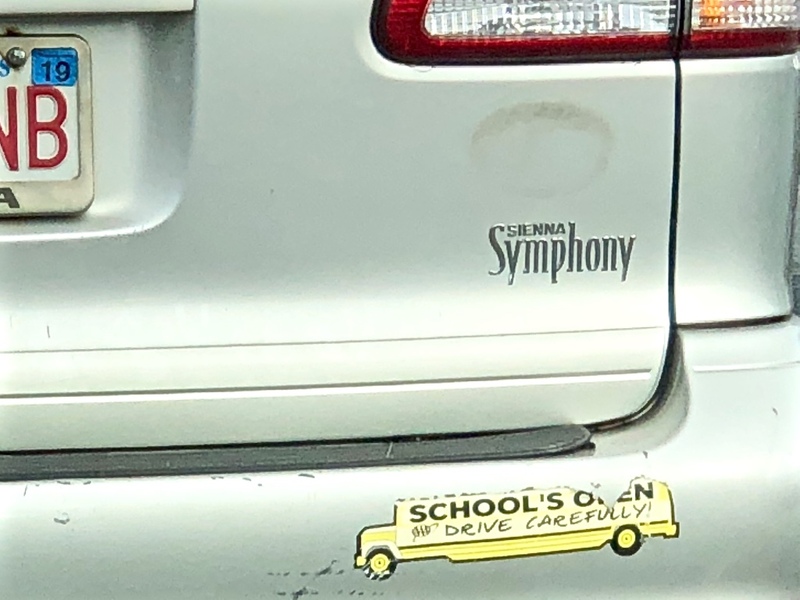 Symphony eh? Fancy! 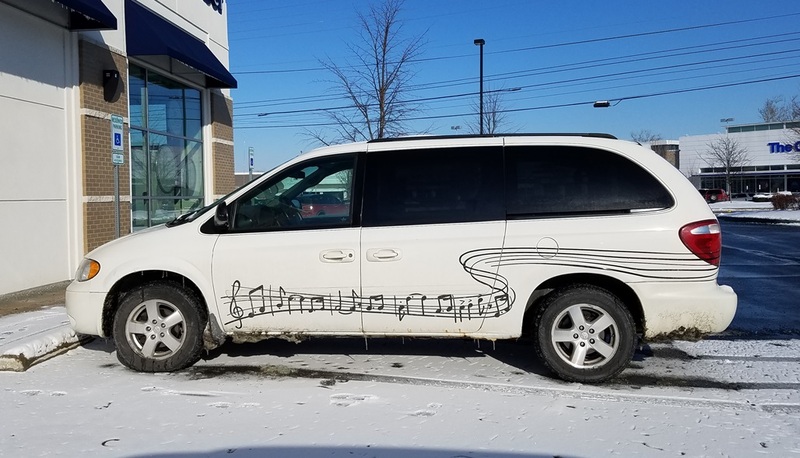 I can’t help but form a mental image of an entire snooty family, all wearing monocles, on the way to the opera in this then-new Sienna looking down on another family on their way to a water park in Loony Toons Chevy Venture at an intersection, naturally furrowing their brows and twisting their curly mustaches (the kids have them in my vision too) as one of the kids in the Venture rolled down the window to ask for grey poupon. Your descriptions made me laugh quite a bit. Thanks! This is one trend that thankfully led nowhere. But wouldn’t life have been more fun with an Odyssey Opera, a Caravan Classical, a Town & Country Toccata or a Sedona Seranade? But jeeeze Toyota – if you are going to do it, do it right! As a mostly-classical musician, I’ve delighted in the Honda Prelude and Hyundai Sonata—but don’t remember this one at all. True Story: here in Wisconsin (1990s), a friend who owned a Honda Prelude asked the state to OK a vanity plate “FUGUE.” He explained that “prelude & fugue” was a well-worn musical term, and WI relented. But, I understand there were complaints, and I think he finally had to turn it in. Hyundai also gave us the Accent. The possibilities are endless. Honda could have come out with the Prelude, Fugue, and Variation; siblings Hyundai and Kia could jointly have introduced the Sonata-Rondo; GM, in their endless badge engineering of multiple divisions, could have brought us the Tema con Variazioni. Way, way back when there was discussion about what to name the eventual Edsel, a poet suggested Andante con Moto. The last gasp of a model before replacement or death could be the Finale. The air horns on a semi tractor could be called Trompette en Chamade or Tuba Mirabilis. If my memory serves me correctly, I thought this was odd when it came out so I did some research and found out t had a “JBL Symphony” sound system, hence the name. The inlaws are currently driving one of these, purchased used. As it soldiers on through the daily abuse of five kids, all that made the Symphony an added-cost option is either irrelevant or destroyed. Leather-wrapped steering wheel…for those -sporty- sprints to Costco? JBL sound system? Uh-huh, it only plays light FM because they don’t have time to be audiophiles. The power sliding doors are largely non-functional at this point, which is unfortunate because young kids pulling downward at a 45-degree angle have snapped off one of the exterior handles. Upgraded upholstery and floormats have been stomped and spilled into oblivion. The Symphony badge on the back is delaminating. The engine and transmission keep pulling on and on, and the AC works, so it still does the big jobs. Not as pretentious and silly as the Ford F150 Harley-Davidson package. I honestly feel as though Toyota minivans from this era are what AMCs were during the George Romney era. They were totally uncool by the standards of almost everyone, but if you examine the details in context to it’s purpose as a never-say-die people mover, you begin to get more appreciative of it. I would still rather own the AMC however. I’m currently looking at one as a project for the near future! I’m not so sure about the 3 offering lots of special editions of their minivans. 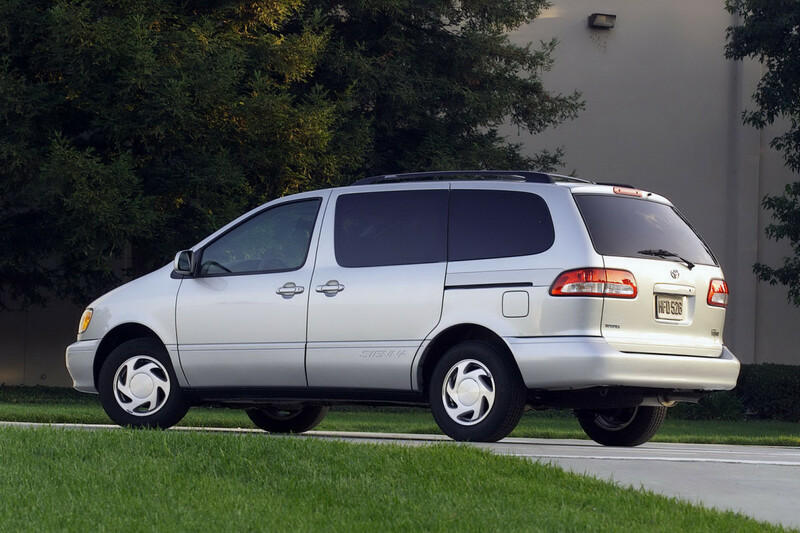 GM had a few on their FWD vans, Ford had the Northwoods that was a special color scheme of the Limited Windstar and that is all. Not sure of any special editions done by Chrysler. That said I’m certain many left dealers with Special Edition Badges/Stickers and some crappy pinstripe and tru-coat but that was done by the dealer to boos their margin. As far as the Symphony goes, I did know a family that had one and it surprised me as she didn’t strike me as one who would have spent extra money for the better sound system or much of anything in the way of luxury options. The only thing I can figure was they selected it because the dealer was “1-only at this price”ing it to move it out the door after it sat too long. I remember a Walter P. Chrysler edition Town & Country, though it wasn’t until the mid-2000s. Don’t forget the Mercury Villager Nautica.